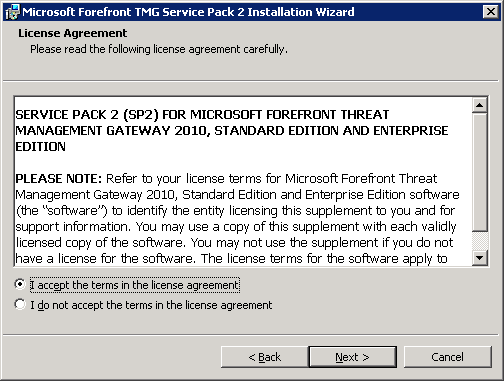 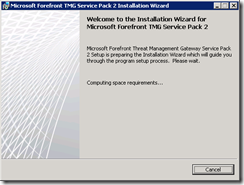 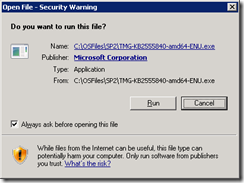 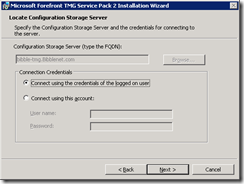 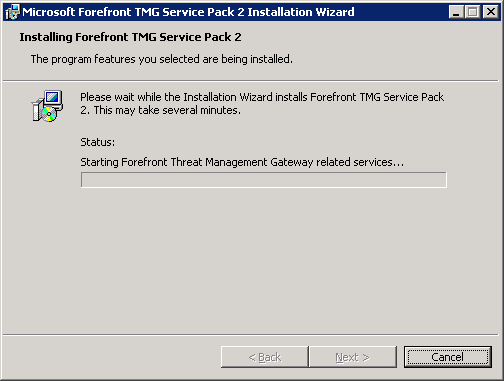 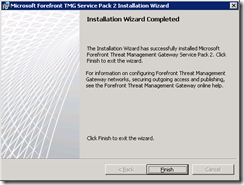 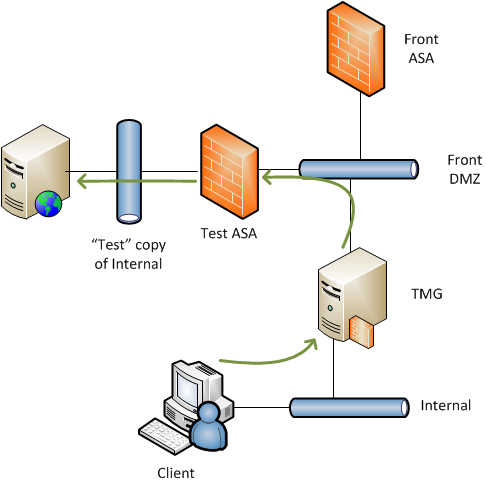 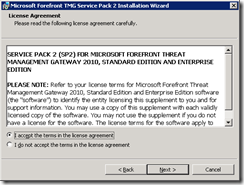 Service Pack 2 (SP2) was recently released for Microsoft’s firewall product Forefront Threat Management Gateway (TMG). 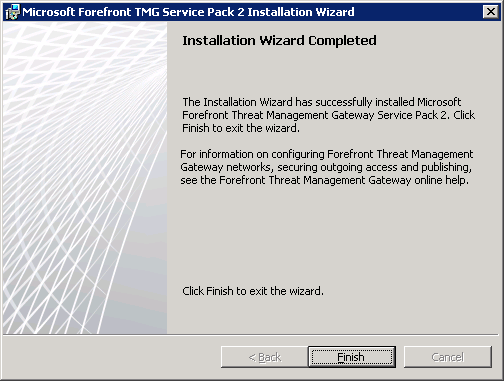 I upgraded my lab VM this morning and it was nice and simple, the whole process took under 10 minutes. 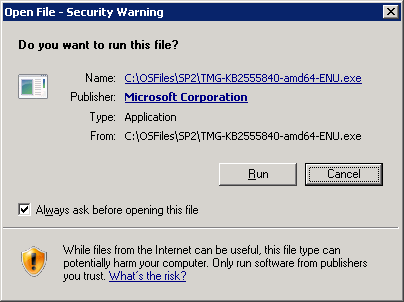 I thought I’d just grab some screenshots of what to expect and post them here for reference. 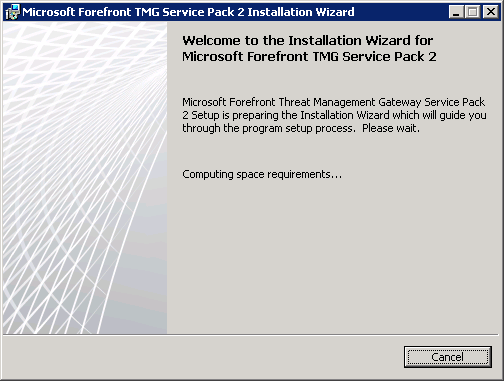 Next we need to do some preparation & planning… for my environment I was installing TMG on a virtual machine so it was easy to take a snapshot so that if something went wrong I could simply revert the VM and start over. 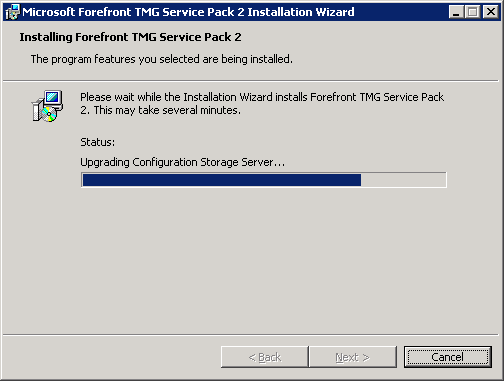 I’d strongly recommend you take a backup for the TMG array configuration before you started the Service Pack installation. 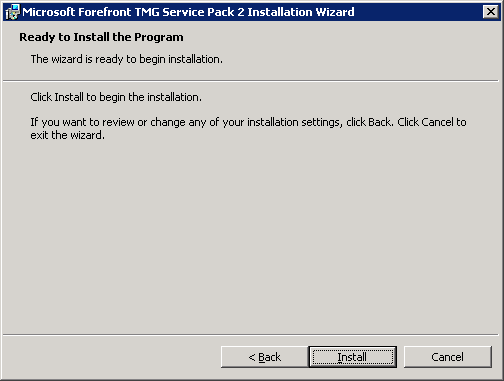 Microsoft also suggest that you can create a “clone array” where you create a new TMG array for the SP2 servers and then one by one remove nodes from your SP1 array, patch them and then join them to the SP2 array. 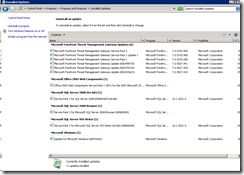 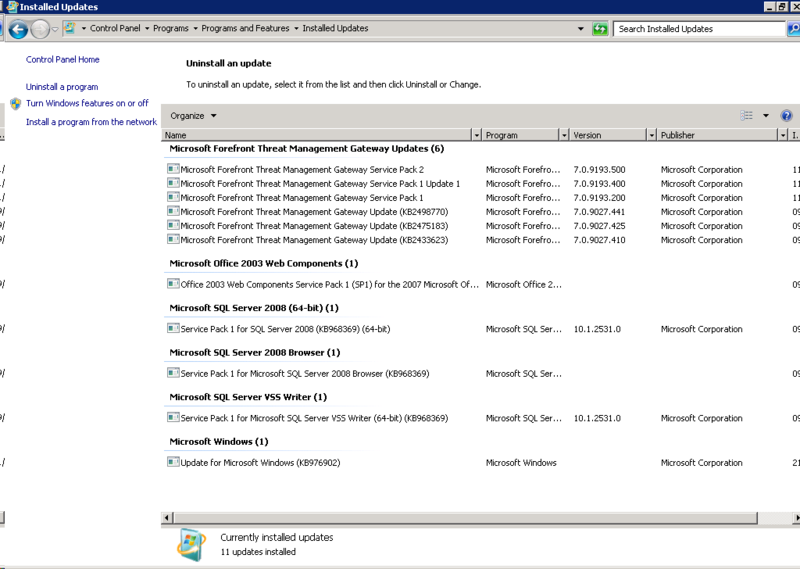 Next we need to download SP2 (here), chances are you are running 2008 R2 so you’ll need the x64 version of the patch. 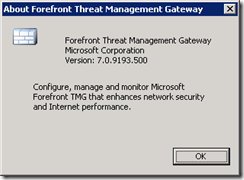 Make sure to store the patch locally on each server you are going to upgrade as during the installation TMG will enter “lock down” mode and so stop communicating on the network. 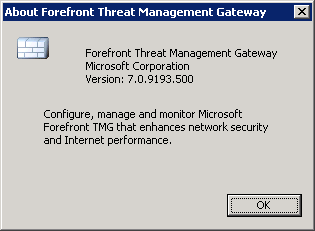 To avoid any issues it’s best to have the patch locally on the machine. 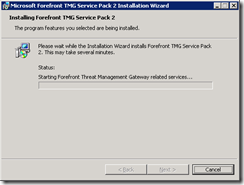 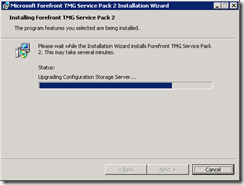 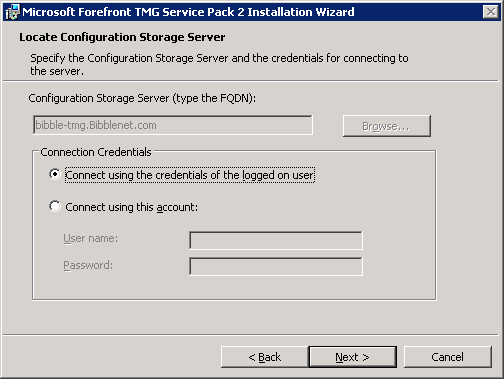 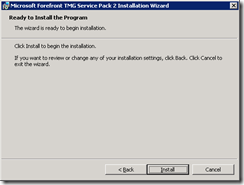 See my follow up post for some of the changes included in TMG SP2 & good luck with your installation…!